I have received a product to review and all opinions are my own. 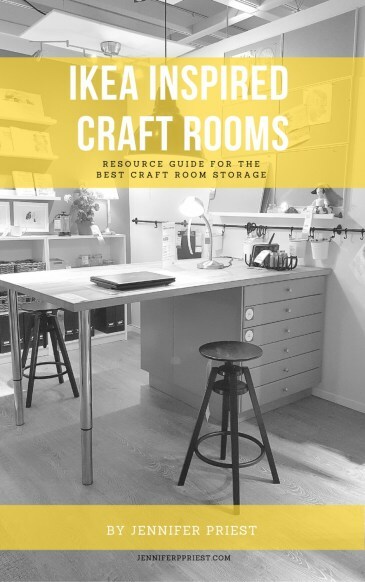 This post contains affiliate links – when you click and make a purchase, we receive a small commission (at no extra charge to you) that helps us to keep bringing you this kind of DIY content for free! A few weeks ago we received the Canon PowerShot G9 X Mark II 20.1MP Digital Camera to review. I knew the perfect place to put it to the test: Disneyland Resort! Everyone wants to remember those magical memories with the mouse and carrying a big DSLR is for the birds. In fact, as Disneyland Annual Passholders, we most commonly see people taking photos with their phones and with pint and shoot cameras like this one. Is that really a point and shoot? Oh, yes it is! 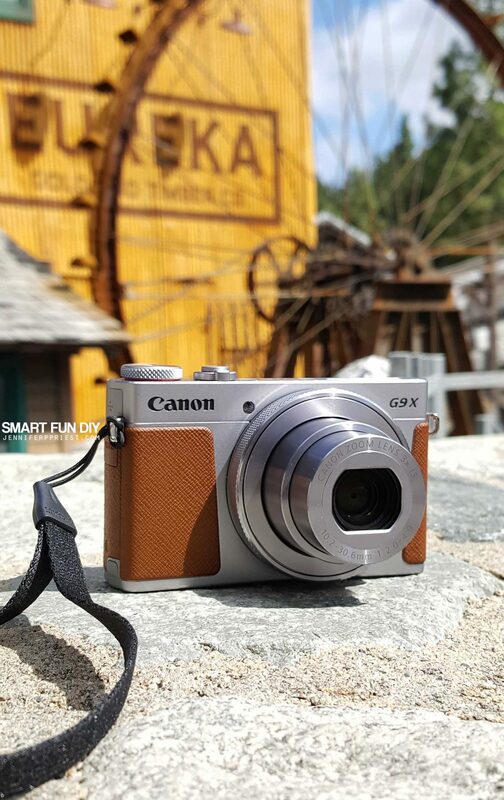 My husband feel in love with the vintage styling of the Canon PowerShot G9 X Mark II with the look of leather on the outside and the silver metal housing. The only thing retro about this camera is the look … the inner workings, the quality of the image, and the capabilities are all modern and up to date for 2017! 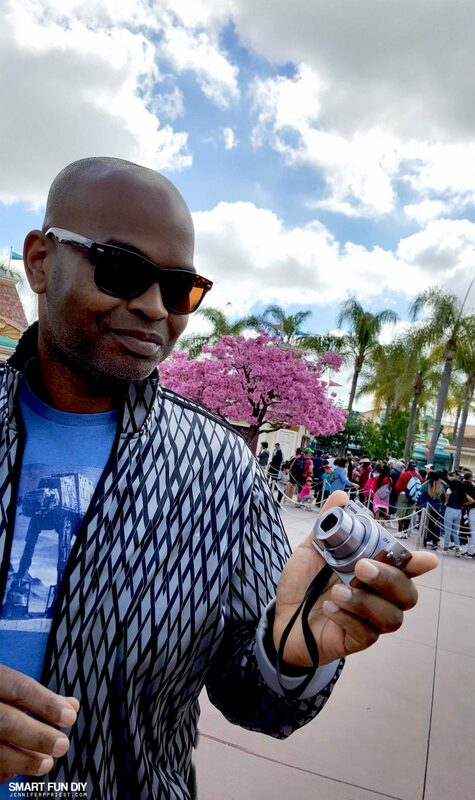 My husband totally commandeered the Canon PowerShot G9 X Mark II on this Disney trip. The Canon PowerShot G9 X has a sleek body with a 1” 20.2MP high-Sensitivigy CMOS sensor and DIGIC 6 image processor to help you take better photos in challenging conditions. The sensor and DIGIC 6 processor work together for clean pictures up to ISO 12800 for low light use, 6FPS continuous shooting so you won’t miss the critical moment, and full HD 1080p/60 video recording. The lens zooms from 28 to 80mm (35mm equivalent) and the intelligent image stabilization (IS) helps to minimize camera shake in a wide variety of conditions. The camera features a large 3.0” 1.04m-Dot touchscreen for intuitive control and built in WiFi and NFC so that you can share photos instantly and control the camera through a compatible phone or tablet. One of the things my husband noticed is that the Canon PowerShot G9 X Mark II was really lightweight, even lighter than point and shoot cameras we've owned in the past. The Canon G9 x features a huge 20.2MP sensor that measures 1” and the DIGIC 6 processor for enhanced low light performance and low noise images out to ISO 12800. 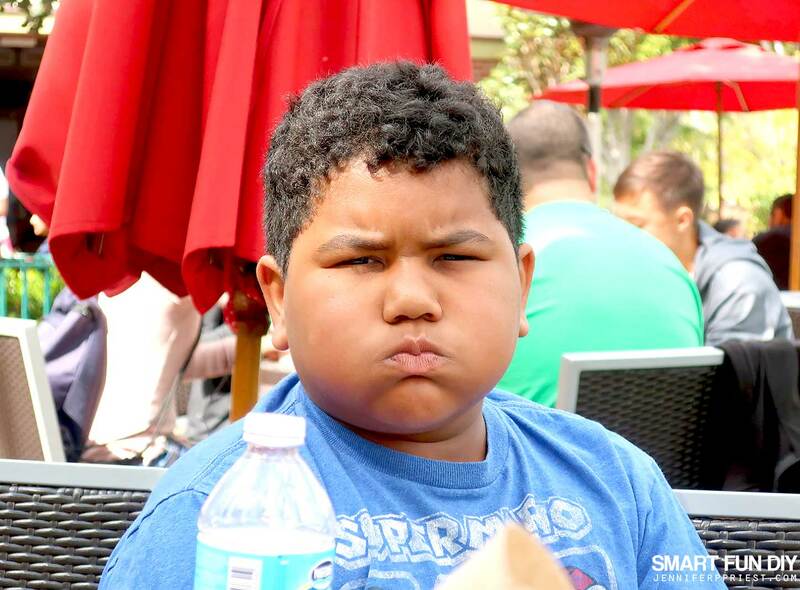 The camera can shoot at up to 6 frames per second to capture the perfect moment. The 1” sensor is very large for a point and shoot camera, and helps the image quality greatly. 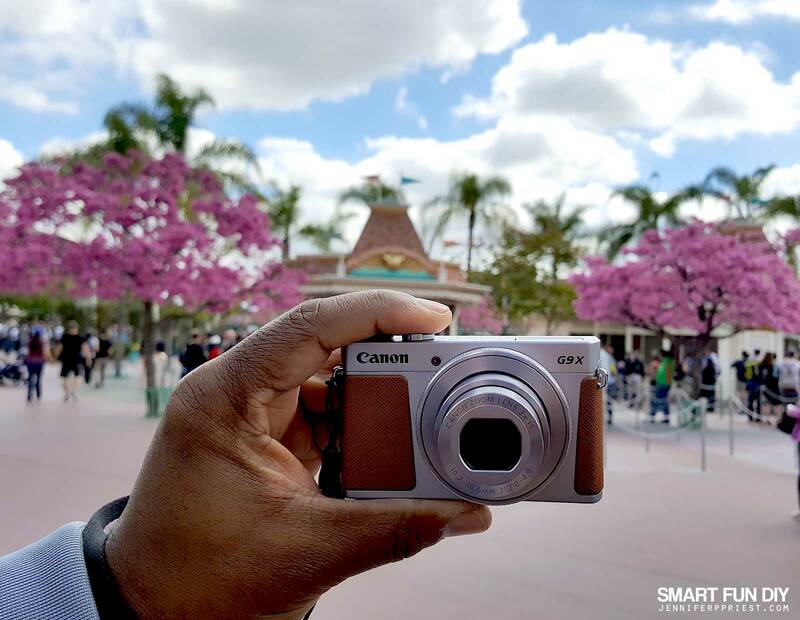 The camera has a retractable lens that allows you to get great quality photos but the camera can still slip easily into a pocket when you're going on rides or walking around the Parks. We tested out the RAW setting to see what kinds of detail we could capture. The 28-80mm (35mm equivalent) zoom lens covers a VERY versatile range from wide angle to portrait and features intelligent IS for sharp photos even when handheld. 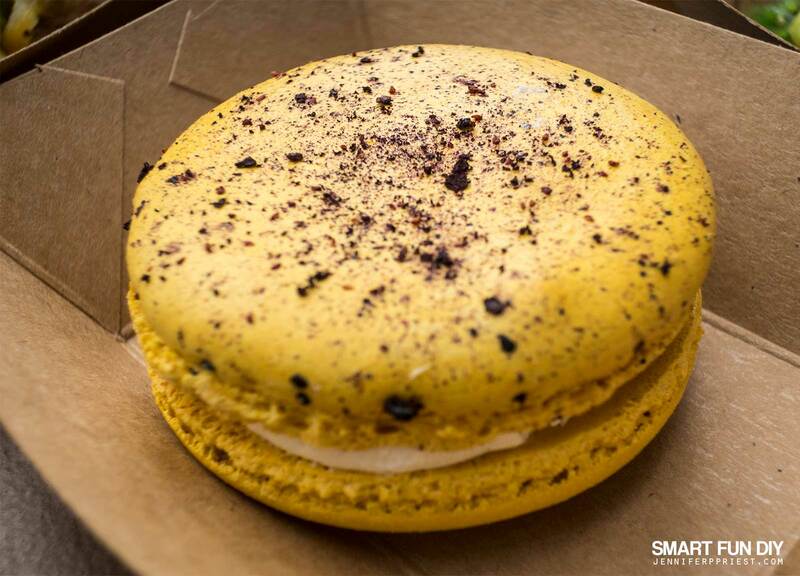 We captured this macron photo in low light. Yeah, we were able to get some depth of field going with a point and shoot! The Canon G9 X features intelligent Image Stabilization (IS) for improved sharpness and stability under a wider variety of conditions than previously available. Several different IS modes are available for the best results under different conditions. If you like to edit your photos in Photoshop or Lightroom, the ability to shoot in RAW gives you that option so you can have better control over the lighting, colors, and more once you get home. And that's important so that you can keep your attention on your adventure and not on messing with camera settings. That said, if you want to adjust the settings on the Canon PowerShot G9 X Mark II, you can! There are lots of easy to use options and settings to manipulate from the touchscreen. In addition, you can easily capture video by pressing the record button; no need to toggle between capturing stills or video. For maximum versatility the G9 X can capture Full HD 1080P video at several frame rates (60, 30, 24FPS) and can play them back directly to an HD monitor with an HDMI output, or upload to your computer or internet. The built in microphones have wide dynamic range for easy setup and the camera allows manual control of recording functions with focus peaking in real time for experienced users. For all those trips where you want to vlog and capture stills, the Canon PowerShot G9 X Mark II is a winner! The touch screen auto-focus on the Canon PowerShot G9 X Mark II is accurate, making it really easily to capture gorgeous, in-focus shots every time. No matter the lighting or the action, the Canon PowerShot G9 X Mark II performed really well, making it easy to capture the photo and then get back to the fun. One of the things I've seen with DSLR users in the Parks is that they have to mess with light meters and all of these gadgets that take their attention away from the moment. If you're on vacation, you want to get the shot and then get back to enjoying the Parks and the people you came there with. 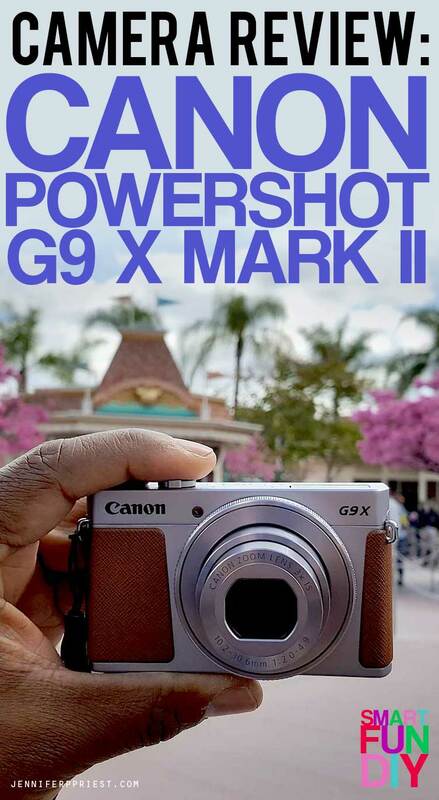 The Canon PowerShot G9 X Mark II allows you to do that with ease! Built in WiFi and NFC connectivity allow instant sharing through a cell phone or tablet, and also allow the photographer enhanced camera controls and framing options. This means no more guessing if everyone is in the picture while you race the self-timer, and once you take your mega-group-selfie you can share it instantaneously. A 3.0” 1.04m-dot LCD touchscreen makes composition and control easy when you don’t want to get your phone out. A physical control ring gives extra creative control – just spin the ring around the lens for creative effects or adjustments. I honestly was sad to pack this camera back up to return to the vendor after our time with it was up. This one is already on my husband's list as a Father's Day present! And with FREE Shipping form Ritz Camera and sales offers like $50 off, this camera is an incredible deal. There's always a new deal on this Canon PowerShot G9 X Mark II so be sure to click here to see the most current price. Why Ritz Camera? They've been in business since 1918 and pride themselves on premium service while offering competitive prices. Everything comes with a minimum of 1-year warranty so if it breaks, they will handle it! 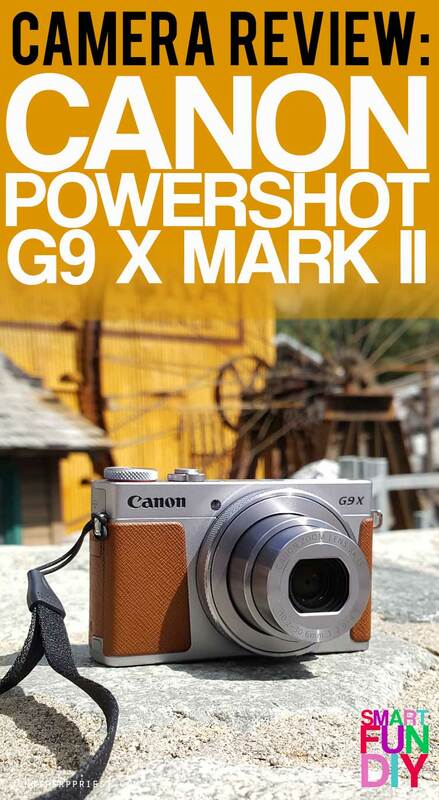 Stylish camera … high quality images … RAW capability … I don't know if I'll ever bring my DSLR on trips again because I'll be using the Canon PowerShot G9 X Mark II instead!